Could Co Enzyme Q10 boost fertility? 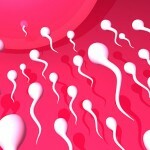 However, as men age, their sperm may become a little sluggish and their DNA a bit more fragmented. But the factory never closes.